June 16, 2015 / Preferred Roof Services Inc. 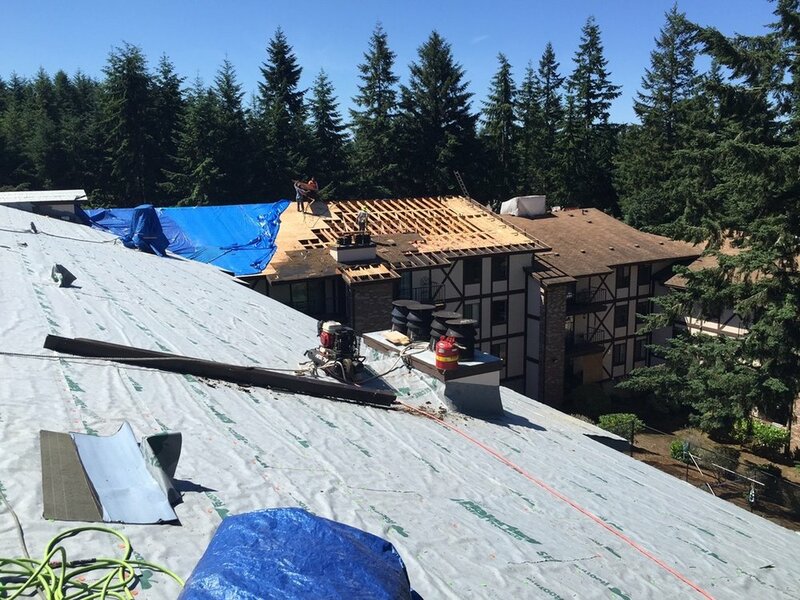 The Regency Park Apartments in University Place in progress of receiving a beautiful new Malarkey Legacy® roof from Preferred Roof Services Inc. These multi-family units were stripped and Malarkey's 1030 synthetic underlayment is being installed now. Once this is finished our team of highly trained and skilled technicians will install the Malarkey Legacy® roofing system. Legacy® is a laminate shingle line fortified with Malarkey’s unique Flexor™ SBS polymer modified asphalt technology to promote extreme weather protection. Malarkey's Flexor™ SBS polymer modified asphalt technology aids in protection and durability for this roof for years to come. It also has added benefits for installation efficiency, made of a more flexible material it is easier for installers to cut. 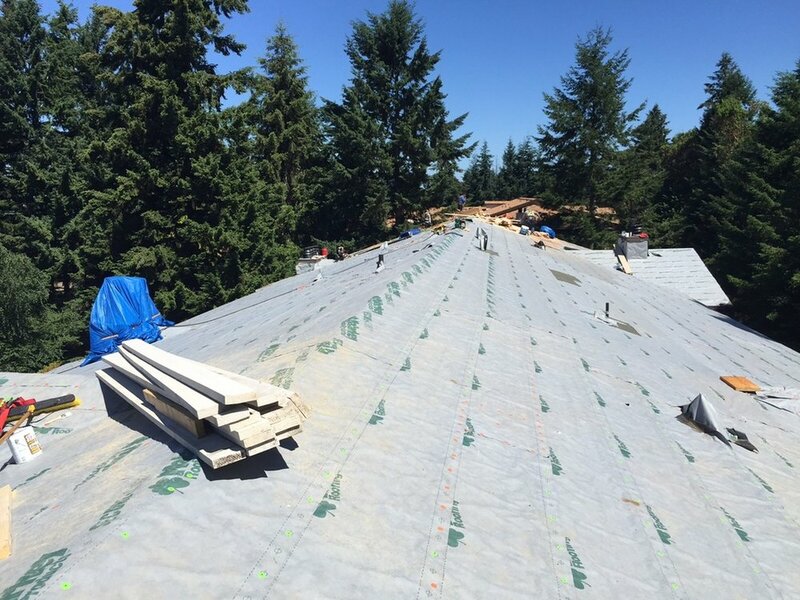 The innovative tapered nail line technology makes installation of Malarkey's Legacy shingle easier with a nailing area of nearly twice the size of a standard shingle so you can rest feeling secure that your roof is installed properly thanks to this new technology. 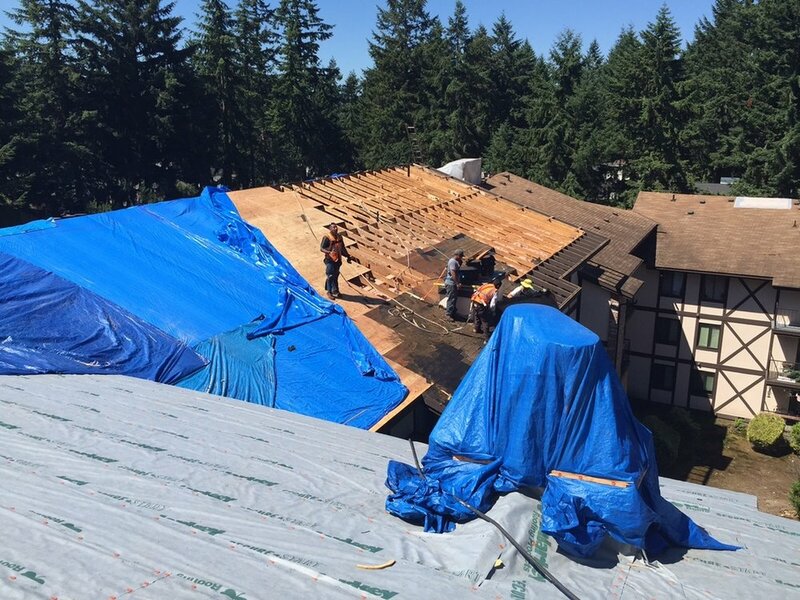 Malarkey 1030 synthetic underlayment is being installed on the multi-family roof to create a watertight bond before the Legacy® shingles are installed. Come back soon for more photos of the finished Malarkey Legacy® roofing system at Regency Park Apartments in University Place. This roofing system was installed with all Malarky certified products qualifying for a 20 year NDL (no dollar limit) warranty. A great warranty like this is only offered to roofing contractors who are certified by the manufacture and use all of the manufacture's products on the installation of the roofing system. 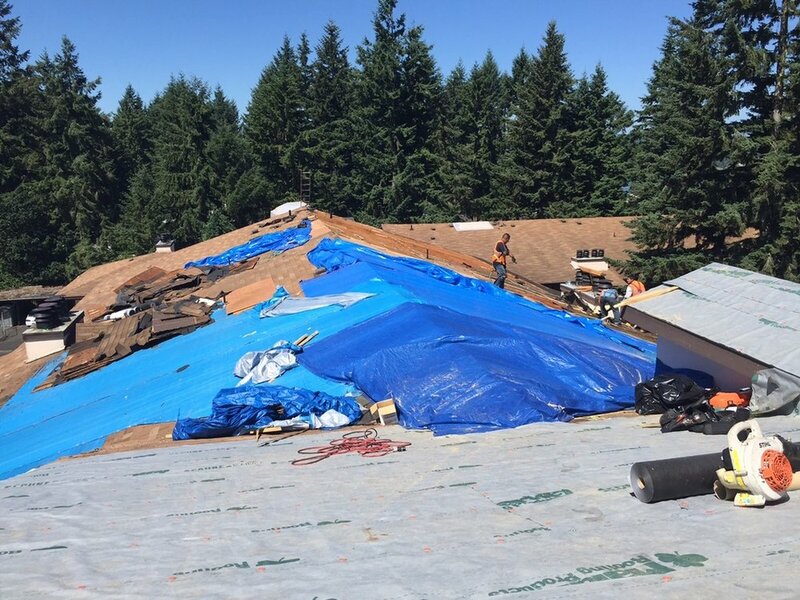 If anything goes wrong with the roofing system for 20 years the manufacture will cover all labor, workmanship and materials with no monetary limit. or Click below to schedule your free estimate today!